I wanted lots of antennas. I get on 6m AM, SSB, FM, and packet. I use 2m, 220 and 440 for packet as well as voice. I didn't want to put any holes in the roof. 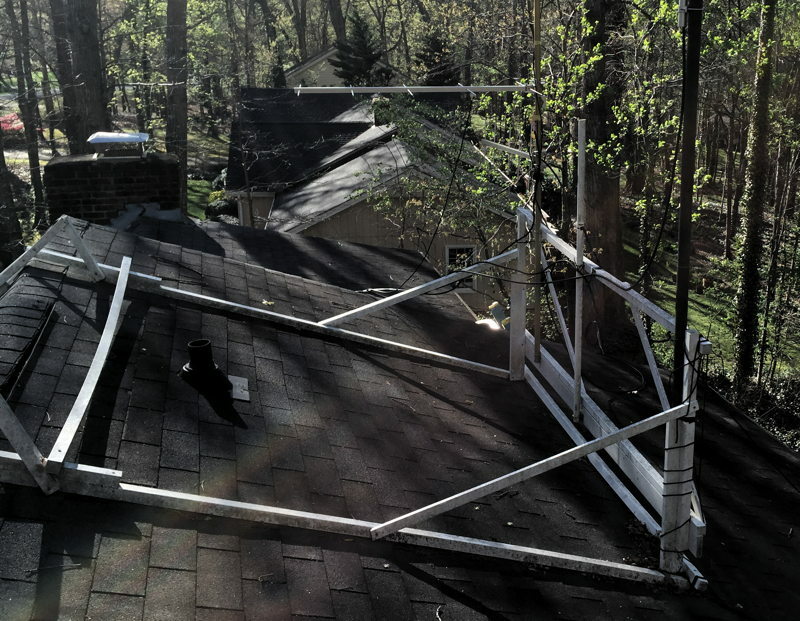 I wanted at least some of my antennas to be less susceptible from household electrical noise by getting them out of the attic and above the house. I made an 8 foot by 8 foot frame out of 2x2s. 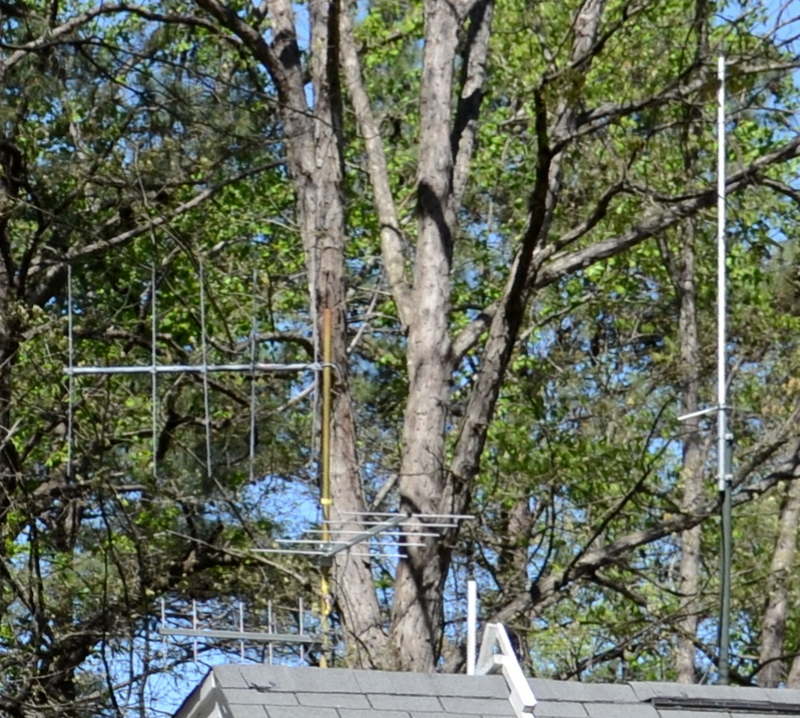 The frame hangs over the peak of the roof and supports several antennas mounted on masts attached to the frame. The antennas are placed such that lowest antenna still peaks over the top of the roof but the frame itself is mostly invisible from the street. The frame is made out of 2x2 x 8' vinyl imitation wood pieces. The frame has been on my roof since 2008. 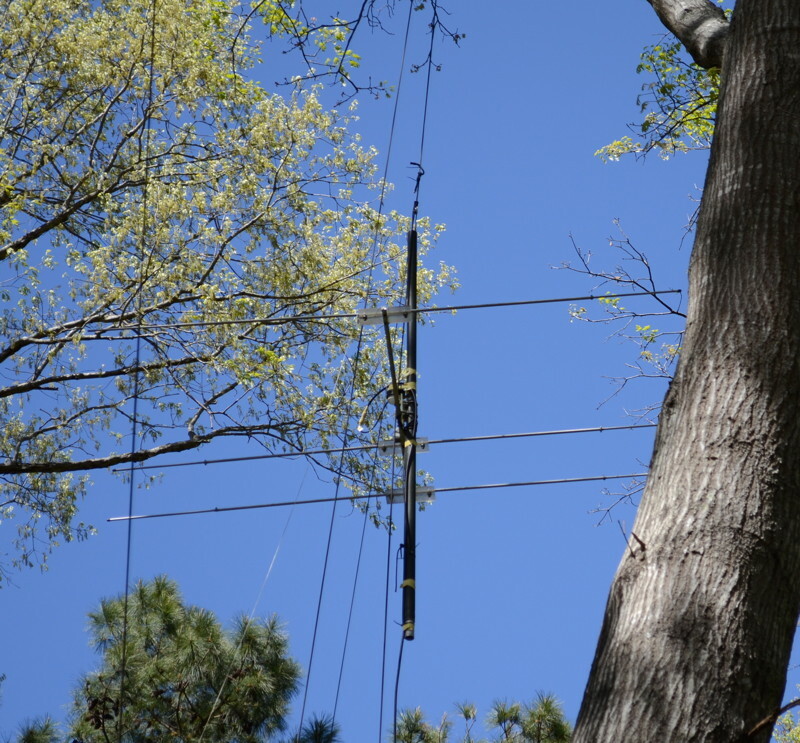 I have several antennas hanging from ropes in the trees including two tri-band verticals, a 3 element 6m yagi, and several wire antennas. 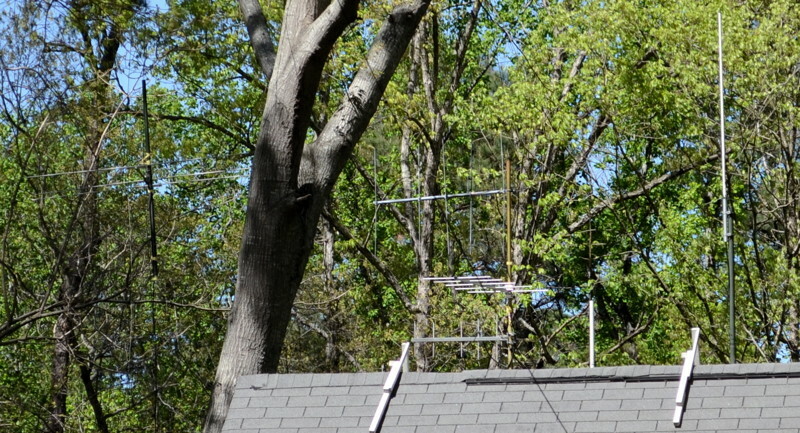 This photos shows the rooftop antennas as well as the 6m horizontal yagi hanging from a tree behind and left of the house. 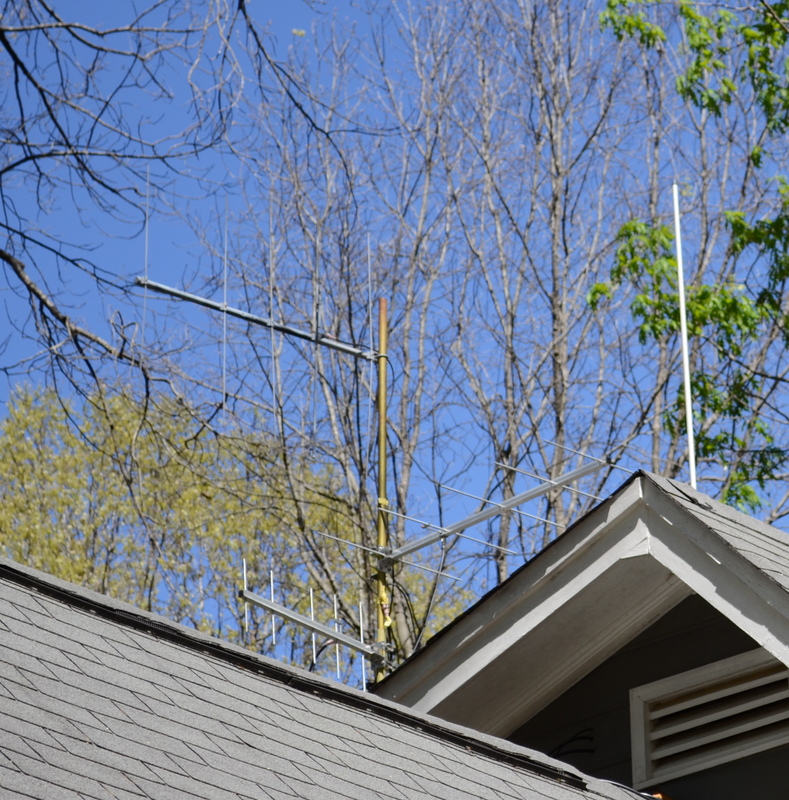 (far left in image) See below for a close-up of the 6m yagi. 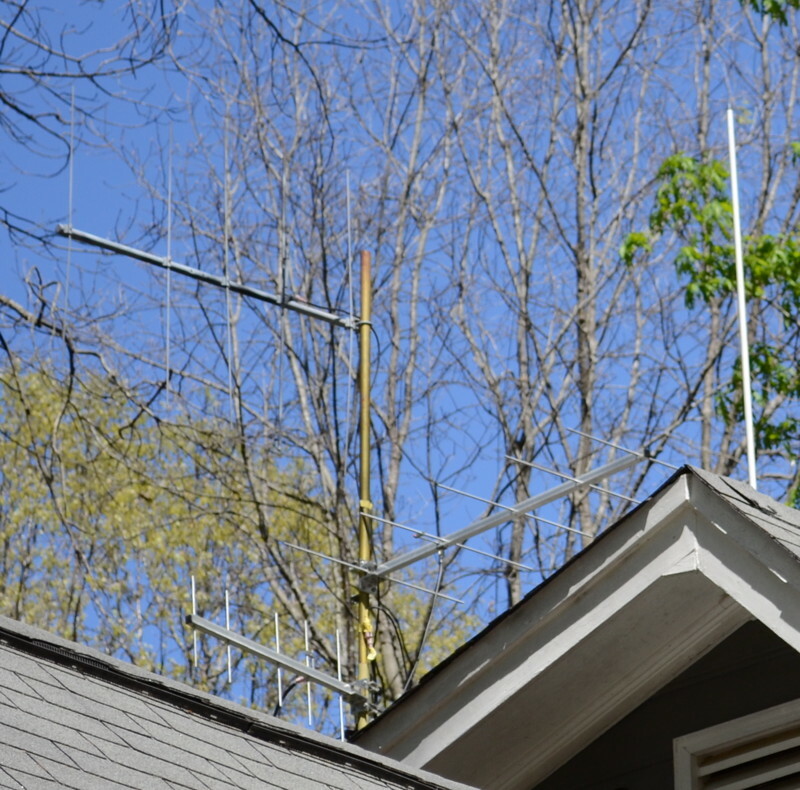 This photo shows the vinyl frame supporting the antennas. This is shot from the driveway just in front of the house. 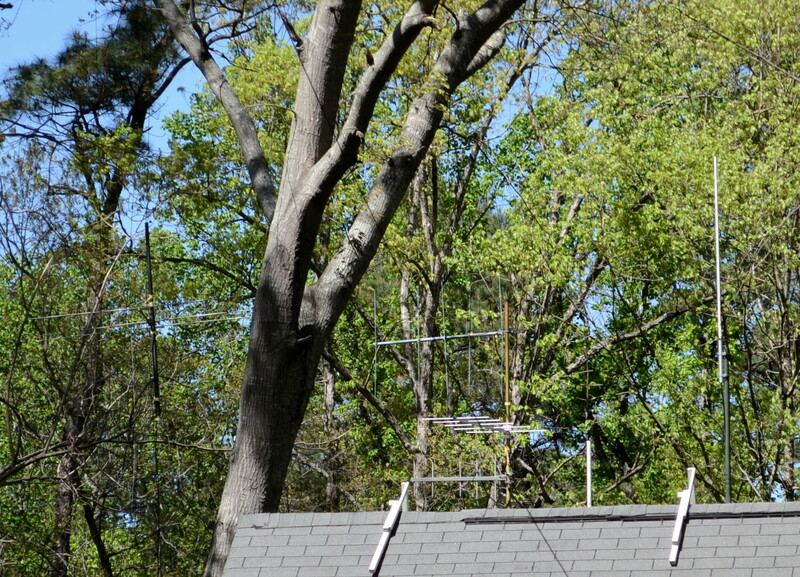 Closeup of the yagi suspended from the backyard tree.